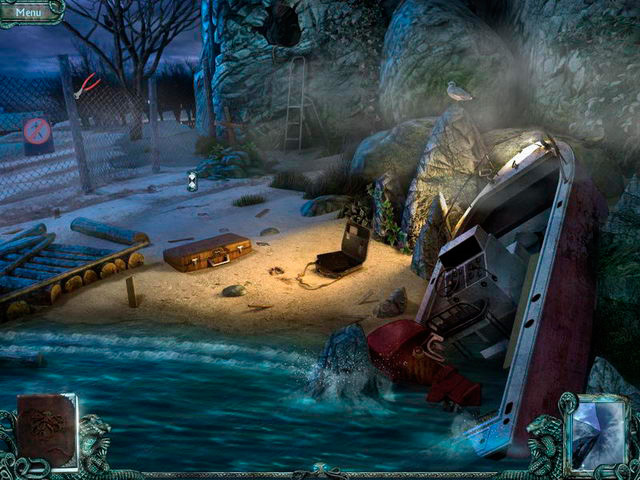 Gather items, solve puzzles and make spine-chilling discoveries! 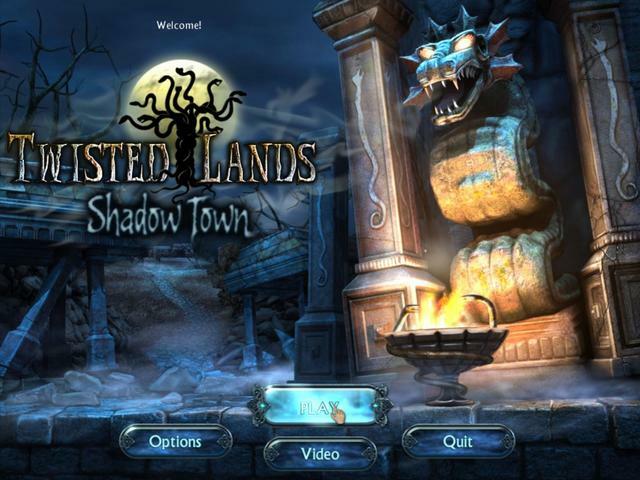 Twisted Lands: Shadow Town was available as a giveaway on April 7, 2019! How would you improve Twisted Lands: Shadow Town? Customize your car and drive it while avoiding multiple obstacles. Check out the end of the review for details of the latest freebies from Indie Gala and Epic Games. 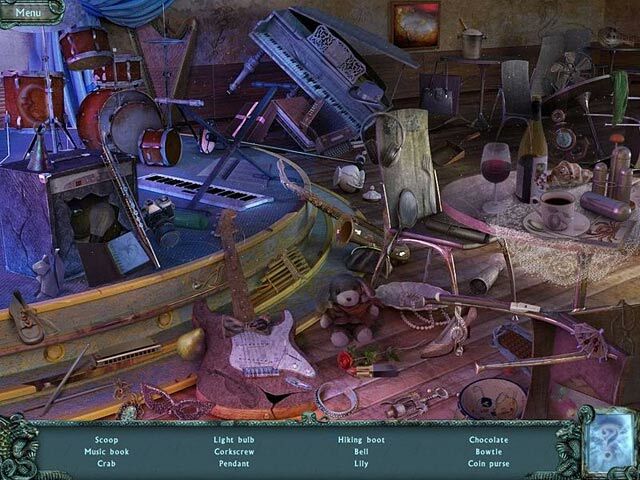 A nine year old Hidden Object game. 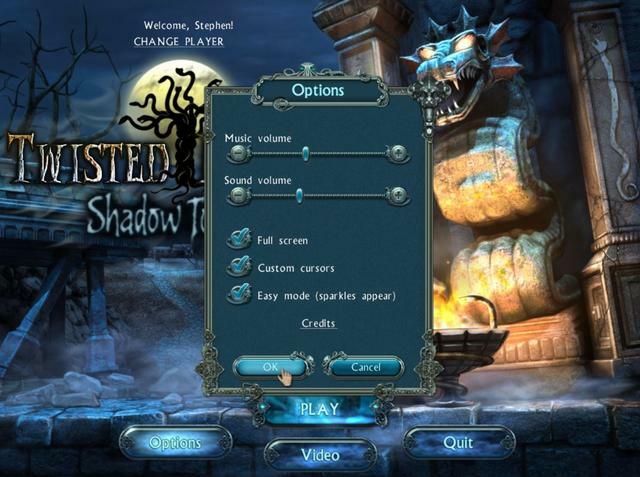 Twisted Lands: Shadow Town downloads to a 250 MB zip file that unzips to three files, (a setup.gcd security wrapper the set-up file and a read me). The game installs to the following path by default, but can be changed if you wish. The installed game is approximately 264 MB in size. Zombies, snakes and murder, oh my! 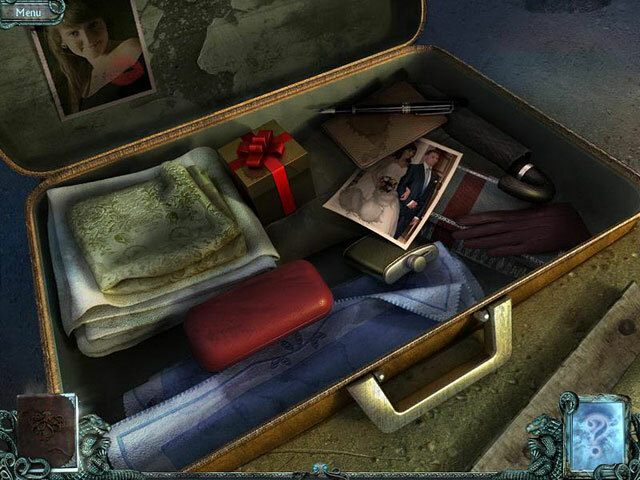 All of this and more awaits in Twisted Lands: Shadow Town, a new hidden object thriller in which the name of the game isn’t to solve the mystery and save the world, but just to find your woman and get the heck out of Dodge. A strong start had my hopes high but in the end, a few too many missteps keep this adventure from being a truly memorable experience. The last game to come from Alawar Stargaze, Snark Busters: Welcome to the Club, absolutely rocked my socks off, so I was eagerly looking forward to the studio’s next effort. 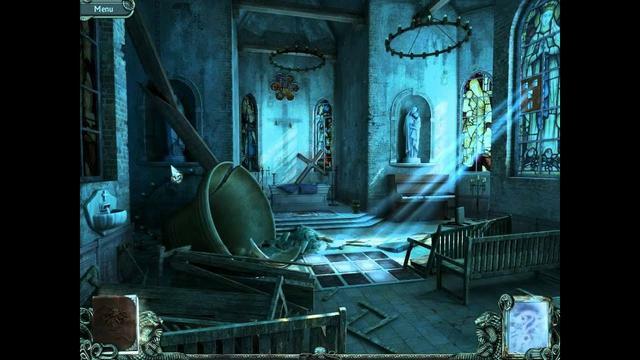 Twisted Lands: Shadow Town certainly hits most of the right notes. 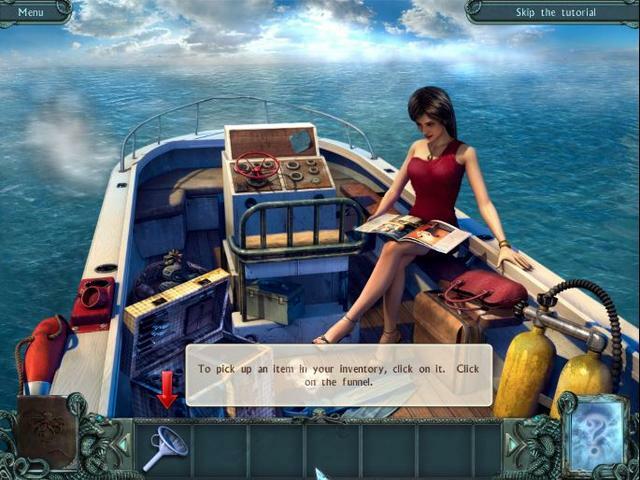 It’s easy on the eyes, with sharp, well-defined graphics and a good variety of scenes that range from a cruise ship run aground to a spooky mansion and a mysteriously abandoned town. 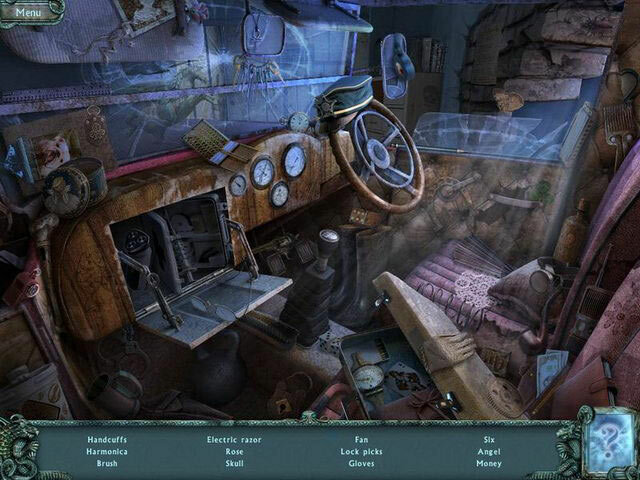 The hidden object searches are reasonably challenging without being obnoxiously difficult, as are the puzzle segments, although one or two can be a bit tricky unless you have the foresight to do some old-fashioned note-taking – which, for the record, is an idea I’m quite fond of. The story steps awkwardly at times but serves up a sufficiently creepy mystery that follows the descent of an entire island into a spiral of madness and murder that ultimately traps all who wander near. 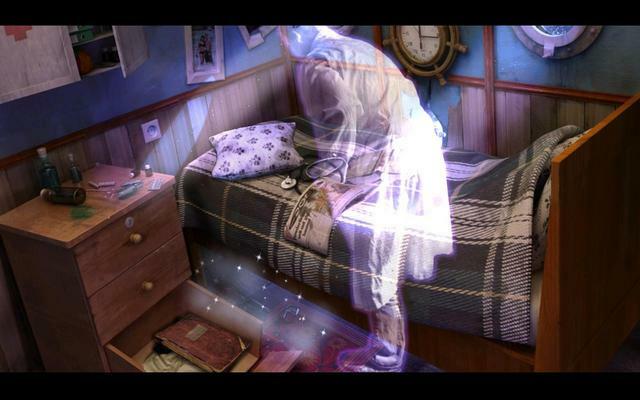 The biggest problem with Shadow Town is that it’s a two-hour game in a three-hour package. Way too much time is spent moving back and forth between locations for trivial purposes. And it’s not just a matter of running between adjacent rooms to collect a pile of items or wrap up a two-part puzzle; you’ll quite literally be making repeated trips across almost the entire map to retrieve individual objects needed to move the game forward. It may sound like nit-picking but it becomes excessive to the point of frustration, because it’s obvious the developer is just trying to pad out the play time by making you run around in circles. Heightening that annoyance is the presence of two maze sections, one of which separates two of the game’s primary areas. These “fog-enshrouded paths” are small and fairly simple to navigate, especially with the aid of the hand-drawn maps left lying on the ground at the start of each, but they simply should not be there. Mazes do not contribute to the quality of a game, only to its length; this is highlighted by the fact that these sections can be easily traversed even by the most directionally-challenged players with the use of the hint function, which will keep you pointed in the right direction and lead you through step-by-step. Why even bother with a maze if the string that guides you through has already been laid? The story has a few gaping holes but still manages to tie everything together nicely with a satisfying twist to wrap things up. The “hero” begins the game as a rather distasteful character, a deep-sea treasure hunter who clearly has no qualms about the legality or morality of his trade as long as he can make a buck from it. But his determination to save his beloved Angel from harm, no matter what the risk to himself, is admirable, revealing him to be more Han Solo than Jabba the Hutt. At the same time, peering too closely at the details is bound to result in a few tricky questions, particularly with regards to the way everything in the game apparently happened in either the early or late 20th century. Unless I missed some devious plot device that explains this apparent time-warp (and that’s entirely possible), the best way to approach the Shadow Town tale is with a quick, light touch. These may sound like minor things to complain about and in some ways they are. 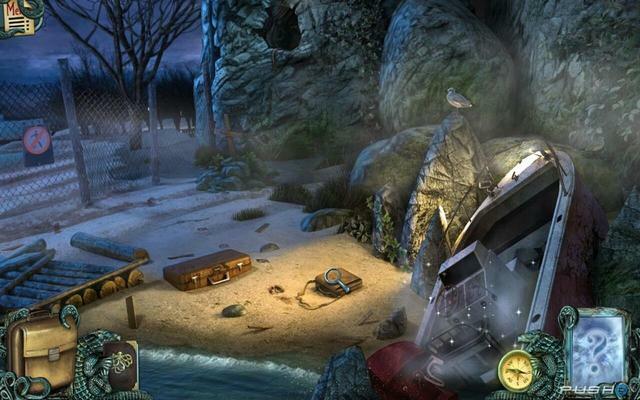 There’s no question that Twisted Lands: Shadow Town brings a lot of goodness to the table. It looks great and it mixes in a decent number of animated cut scenes that bring the story to life. The hidden object searches are conventional but attractive and entertaining. 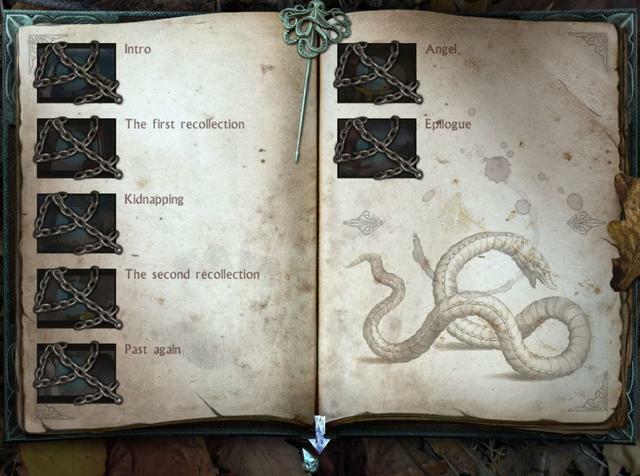 The Collector’s Edition of the game includes a built-in walk through and a bonus chapter set on the same desolate island that also reveals something called Twisted Lands: Insomnia – a glimpse into the future, perhaps? 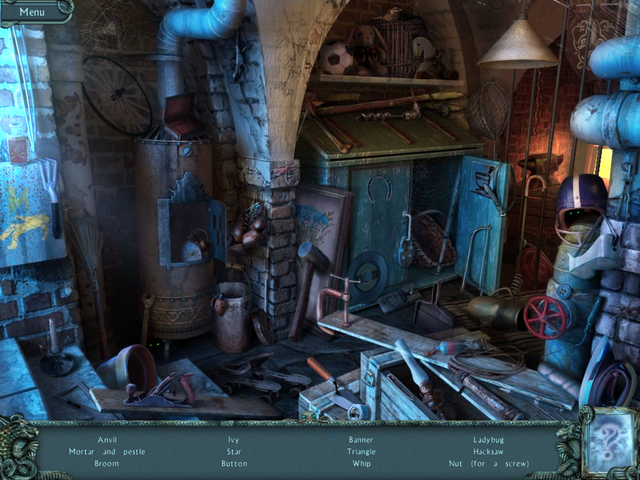 Most hidden object fans will probably find something here to like. There are other rough spots. The soundtrack has a tendency to become overbearing at times and also has an unfortunate habit of starting and stopping haphazardly, leaving pauses of a minute or more between tracks. Compared to some other Collector’s Edition releases, this one doesn’t offer much in the way of extras. But ultimately, effective horror is all about pacing and that’s where this game really stumbles. The individual components are all quite solid and the big finish, when it finally arrives, is good fun and worth waiting for. But it’s all spread too thin, with way too much time-wasting filler. 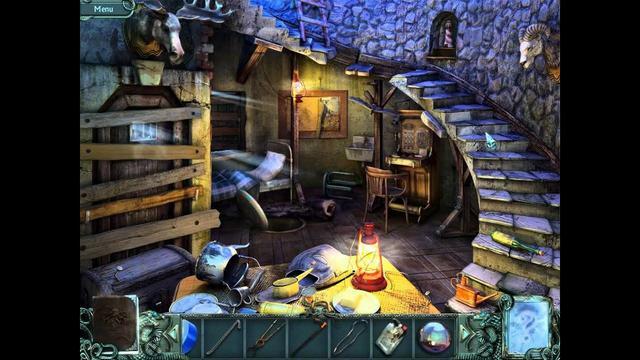 Twisted Lands: Shadow Town is a good game, but not great. Alawar’s “new level of horror in casual games” will have to wait a little while longer. 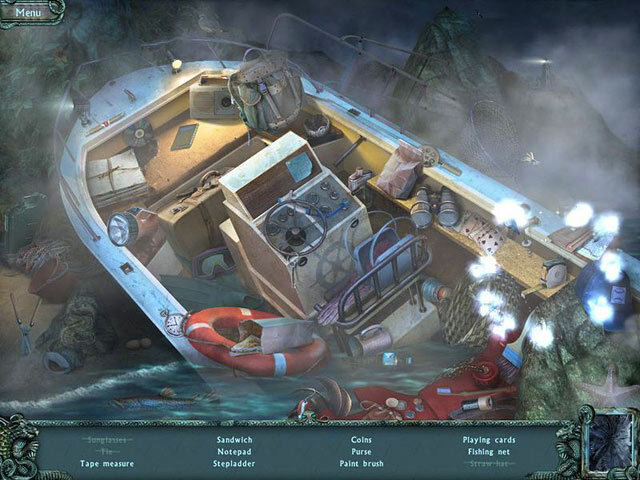 The Gamezebo reviewer Andy Chalk said the game had solid graphics and an engaging story, but far too much running around for no good reason and poor pacing. 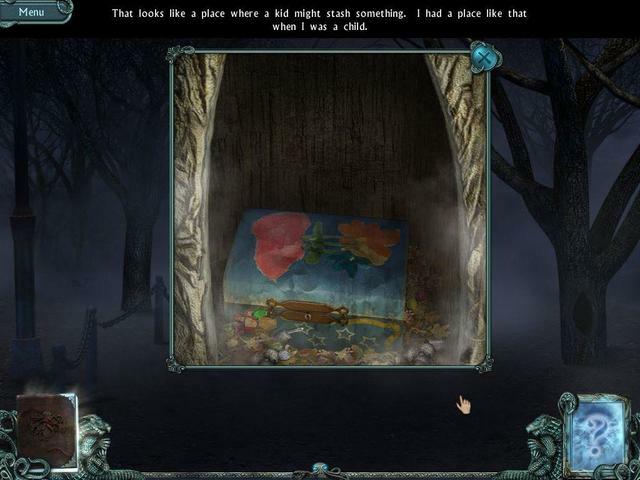 You can read other comments about Twisted Lands: Shadow Town HERE and HERE and several in-game videos of game play HERE, HERE, HERE, HERE, HERE & HERE. You can find a couple of written walkthrough HERE & HERE. If you miss today's game giveaway you can always get the game via Steam as part of the Twisted Lands trilogy bundle HERE for £14.99/$19.99/€19.99/₽419; or If you prefer just the Shadow town version you can get the collectors edition via Big Fish Games HERE for £1080 (or two monthly credits) reduced from£15.42. If you're having problems installing or activating or getting Twisted Lands: Shadow Town to work please visit the FAQ's Thread HERE and read through the communities comments because sometimes fixes have already been posted, for example, a common issue seen since the Themida wrapper was introduced three years ago is that some community members installation of the game are blocked by their security because Themida code has been known to hide malware, (usually an error message is flagged for example 'The executable is corrupted' even though in reality it is not); so as a precaution some anti malware programs will block and even delete the suspect installation files even though the files (i.e. the setup, read me and setup.gcd files are actually totally free from malware. This issue can be solved either by rebooting your computer in safe mode with networking or a quicker method is to temporarily turn off your security software to allow the installation. You could also try white-listing the setup.gcd file. In the almost 12 years this game giveaway site has been operating there has 'never' been a game given away that was infected with malware. I'd like to take this opportunity to thank MyPlayCity for giving away Twisted Lands: Shadow Town and also to the game giveaway team, as always, for securing other ways to get free games. 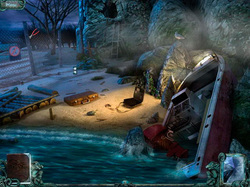 If Twisted Lands: Shadow Town doesn't doesn't interest you, but you still hanker for something new to play, you'll find details of some game deals whether they be sale items, heavily discounted (up to 95%) indie bundles or games being given away for free HERE (I've not updated the thread in a while, but most of the links still take you to the latest deals). The rest of the information that used to be posted in the game review can be found in the forums HERE. Finally, check out Delenns threads for details of other free games and offers; she often updates with the latest deals from Indie Gala, the Humble Store and others HERE; plus other community members sometimes post details of free games elsewhere in the game discussion forums HERE, (current deals are usually on the first page of the game discussion forums). The free game over at Epic Games is now The Witness; a single-player game in an open world with dozens of locations to explore and over 500 puzzles; (sells for £29.99/$39.99/€36.99/₽699). From the 18th of April Transistor (sells for £15.46/$19.99/€16.79/₽435) is available free HERE; a sci-fi-themed action RPG where you discover the world of transistors; from the creators of Bastion. Indie Gala have removed some of the games that were available last week and added new ones to their free games list, (at least 20 free games are available via their recently added showcase section) that includes adventure, RPG, Simulation, strategy and casual games (most recent first) i.e. Survivalist (a huge open-world Role Playing Game), Galactic Missile Defense - ( an endless/leaderboard-based shooter and tower defense game, where you must protect Earth from the invading Martians), Super Destronaut - (A retro space invaders clone), Siluman Project - (An RPG Maker game where the purpose of the game is to defeat monster girls bosses and reach the ending based on what action do you do), Five Nations - (A futuristic real-time strategy game that follows the events of a mind-bending opera of space about the survival of humanity), False ReBirth - (Another RPG Maker game - A psychological, story-focused game about the last remaining human), GOR - Gorilla Office Rampage - (Top down action game - play as a monkey and you smash stuff), Home is where Chip is - (Casual simulation), Age of Fear: The Free World - (introduction to the series' tried-and-true game play, focusing on non-linear exploration and combat in an Open World style), Die Legende von Saya: Befehl aus der Dunkelheit - (aka The Legend of Saya: Command from the Dark) - (Action adventure RPG), What Never Was, The Last Humans: Awakening, Childhood, Dunwell, Safe Not Safe, Hi Hotel, Bugs Must Die, Cuadradito y Circulito, Hellino, Hovership Havoc and Wake Up , or you can find them all HERE. Finally, there are some excellent bargains on sale via Steam HERE. Whiterabbit-uk, this one looks familiar. Can you include in your review if this (and future) games have been given away here previously, since many of us do try to download most at least in a genre we like? Thanks, and have a great weekend! Hi neme, When a game has been given away previously I usually do report the game as a repeat; either in the introduction or at the top under the moderator comment and sometimes in the In Brief section. I also usually include a link to the original comments and the thumbs up percentage that the game received. That said, I sometimes forget to check if a game has been given away previously. 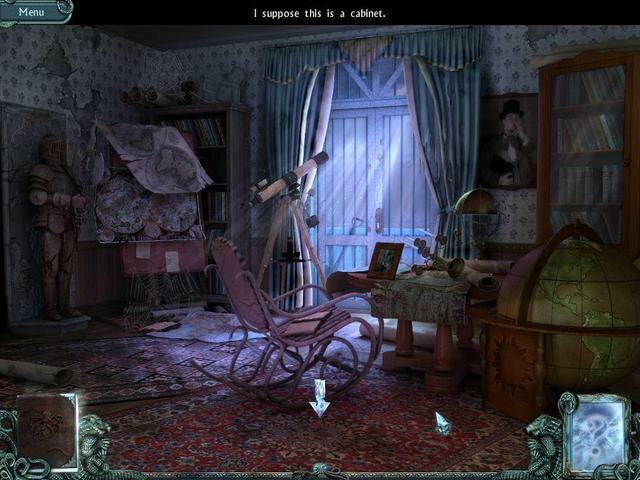 most I recognize, but a lot of the hidden object games sound the same to me (partly becasue i'm not really interested in them, so tend not to take note. I don't think this game has been given away before. At least doing a search via Google doesn't throw up any previous giveaways for any of the three in the Twisted Lands trilogy. 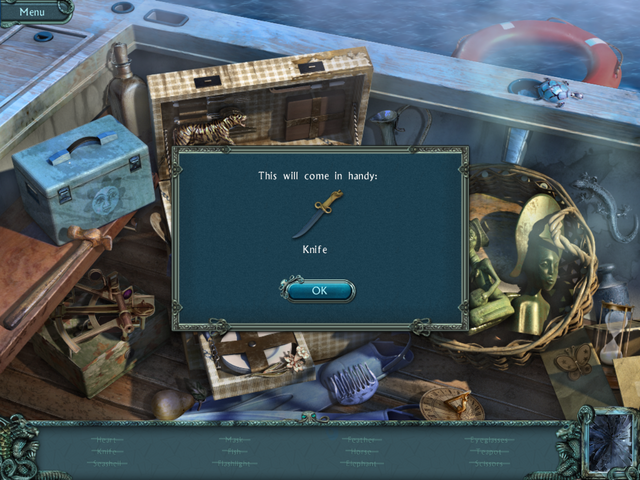 I very much appreciate the detailed description and comments posted here and on the BFG site, because I normally would have downloaded this game, but since I hate games where you have to go back and forth and back and forth to other rooms to find objects, I'll pass on this one. Again, thanks to all for the heads-up! Not bad, runs fine on my Windows 10 Home Edition 64 bit laptop, no technical issues. I'm sure it will be as interesting as most HOGs I get to play. I was able to use windowed mode and the game cursor can also be changed to use system version. A little bit dark, but not too much for the average player. 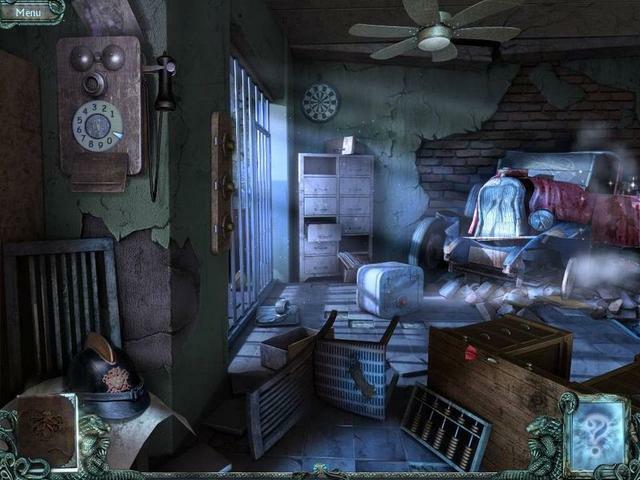 I like some of the hidden object games. But not even tempted by this one because all the scenes are dark. And I have just had it with invisible objects that are in dark areas. Really don't want the inconvenience of having to be adjusting the contrast and brightness on the computer. Because so many community members appear to have been having issues with installing today's game, I thought I'd check the games integrity by installing it onto my two children's computers, one Win 10 and one Win 7, my main computer (Win 10), my study computer (Win 8.1) and two laptops (one Win 10 and the other Win 8.1). I had no problems downloading or installing on all six computers. All were up to date with respect to various drivers. Over thirteen hundred community members have activated today's game (I can see how many activation's there are via the admin panel). The most likely explanation has to be some conflict with individual computers, be it out of date drivers, monitors set to a resolution not supported by the game, or a conflict with a program, or programs running on your computer. If it was an issue on the giveaway side, there would be far more community members posting comments about the issue. The game is nine years old, so it could be any number of issues as simple the one mentioned above, i.e. monitor resolutions. Unfortunately, as I don't have any issues installing and booting up today's game on any of the computers I installed the game to, it's hard to give a definitive answer to why some community members are having issues. I apologize for that, and can only suggest, you try downloading it directly from MyPlayCity, or one of the other free game sites that may have this on offer. Please excuse my late reply; we were invited out to dinner early this afternoon and only returned home recently, otherwise I would have replied sooner. p.s. yes it was originally given away on the 1st of June. One the date was given, it was an easy matter to look back in the archives and find the original pages, which you can see HERE. I did check via Google, but there was no hit, which is unusual. Thanks for confirming the repeat. It originally received an 85% approval rating from 463 votes with 50 comments. <em><strong><blockquote>..................................Moderator comment.....................................</blockquote> <ul><ul><blockquote>Because so many community members appear to have been having issues with installing today's game, I thought I'd check the games integrity by installing it onto my two children's computers, one Win 10 and one Win 7, my main computer (Win 10), my study computer (Win 8.1) and two laptops (one Win 10 and the other Win 8.1). I had no problems downloading or installing on all six computers. All were up to date with respect to various drivers. Over thirteen hundred community members have activated today's game (I can see how many activation's there are via the admin panel). The most likely explanation has to be some conflict with individual computers, be it out of date drivers, monitors set to a resolution not supported by the game, or a conflict with a program, or programs running on your computer. </blockquote><blockquote> If it was an issue on the giveaway side, there would be far more community members posting comments about the issue. The game is nine years old, so it could be any number of issues as simple the one mentioned above, i.e. monitor resolutions. Unfortunately, as I don't have any issues installing and booting up today's game on any of the computers I installed the game to, it's hard to give a definitive answer to why some community members are having issues. I apologize for that, and can only suggest, you try downloading it directly from MyPlayCity, or one of the other free game sites that may have this on offer.</blockquote><blockquote>Please excuse my late reply; we were invited out to dinner early this afternoon and only returned home recently, otherwise I would have replied sooner.</blockquote><blockquote>p.s. yes it was originally given away on the 1st of June. 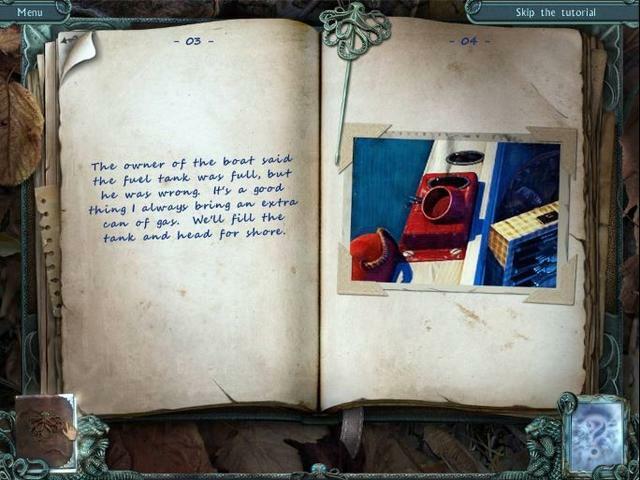 One the date was given, it was an easy matter to look back in the archives and find the original pages, which you can see <a href="https://game.giveawayoftheday.com/twisted-lands-shadow-town/?preview=1" rel="nofollow"><strong>HERE</strong></a>. I did check via Google, but there was no hit, which is unusual. Thanks for confirming the repeat. It originally received an 85% approval rating from 463 votes with 50 comments.</blockquote></ul></ul></strong></em> . I played this a few years ago and remember that I liked it a lot, sad when it was over. The maze sections do add some challenge and it helps to draw on paper what you can learn. That's not a bad puzzle in my mind, just something else to solve. As I recall, I was able to get through this one without a walk-through, always a good thing when puzzles make sense in a game. Story was good, had some unexpected twists and turns. Getting "Failed to Connect" on win 10 home anti virus off any answers? looks interesting... to bad..."failed to connect".... recycle bin! I've downloaded and extracted all three files. Tried to install it and it comes up with an error: "Failed to connect. Please try again later. This has been going on for over 4 hours now. I want the game, but can't get it to install from GOTD. Had no problems downloading and installing on Win 10 Home. Did not turn off anti-virus or firewalls. This game would be better if it had a map in which you could go from one area to another by only ONE click rather than 10-15 or so to get to where you needed to be. Would also be better to have items to "search" for that are for the time era, rather than "modern" items as in ear phones, etc. It was okay to play, however, I did not enjoy the clicking. My "clicker" finger is quite tired now. Thank you for the game and look forward to next weekend. Will be uninstalling it now that I've finished the game. Had no problems downloading and installing on Win 10 Home. Did not turn off anti-virus or firewalls. This game would be better if it had a map in which you could go from one area to another by only ONE click rather than 10-15 or so to get to where you needed to be. Would also be better to have items to "search" for that are for the time era, rather than "modern" items as in ear phones, etc. It was okay to play, however, I did not enjoy the clicking. My "clicker" finger is quite tired now. Thank you for the game and look forward to next weekend. Will be uninstalling it now that I've finished the game. "Failed to Connect" When trying to install! "Failed to Connect". Tried many times. Please fix! Sarge, Its doing the same thing to me too. 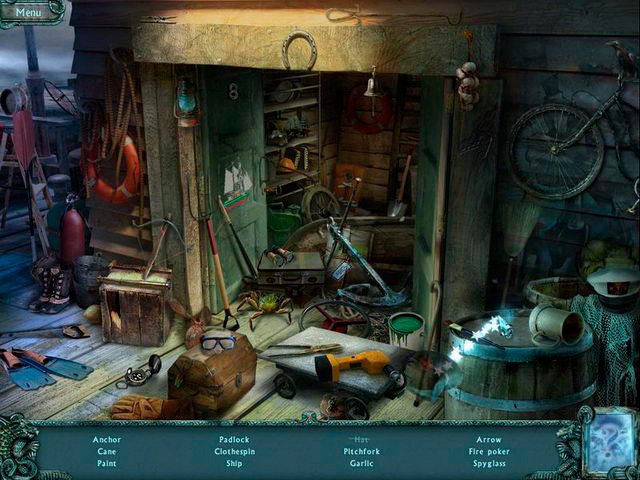 I've played this a couple times in the past; highly recommend it, if you like "Hidden Object". Getting the "Failed to Connect" error message here too on two different computers. Downloaded fine but fails to activate. Error message comes up to try again later. Albion, I am getting the same message. Has anyone found an answer yet? I vote negative and my vote doesn't appear there. So, it is the reason is has a 100% of positive valoration rates. Monica, Is Game Owl like Big Fish (installs extra shortcuts and redirects to their webpage, etc that are reduced when getting the game from here) or is it like here where the games install relatively clean of 'extras'? I looked through the site and can't see any information about what the 'catch' is. Thanks. There is no catch in that website. They are hackers that make new installation form from paid games, so you can get the full version for free. They get the profit from the promotions they publish there. Try it and you will see. There is no crap added. jb, Try it and you will see. There is no crap added. Monica, all I see on the Game owl site is an extension for a speed test. You have to scroll until the bottom of the game page and click the link that appears there to download it. You will need to wait certain time to do it for free. You will find two options: Mexashare and File Upload. Clicking any of them will let you download it for free. Follow the instructions. marie vela, You have to scroll until the bottom of the game page and click the link that appears there to download it. You will need to wait certain time to do it for free. You will find two options: Mexashare and File Upload. Clicking any of them will let you download it for free. Follow the instructions. Getting "Failed to Connect" error message. It looks like a fun game. I'll try later. Anne Hogan, I've gotten the same error in the past. Yes, wait a while and try again. Something not right with the GOTD servers. They usually fix it fast, but if not they will usually offer it the next day. I can't install it. I get a message saying that "Fail to connect". I deleted the previous installation files, reinstall them, and get the same error. Any help? I work with my monitor in the portrait mode. Recently, the games, including this one, do not open. I suspect that the game is looking for the landscape mode. With dozens of desktop icons, it is not practical for me to switch to landscape and then back to portrait mode. Using Administrator and trying all of the compatibility modes do not solve the situation. I work with my monitor in the portrait mode. Recently, the games, including this one, do not open. I suspect that the game is looking for the landscape mode. With dozens of desktop icons, it is not practical for me to switch to landscape and then back to portrait mode. Using Administrator and trying all of the compatibility modes do not solve the situation. 1) Use a 2nd display? While TVs & monitors start below $100, the downside is mainly cost. I have a small TV at my desk that I usually use as a TV, except when I need a 2nd monitor. 2) Use a virtual machine? The main downside IMHO would be that without real graphics hardware -- VMs use emulated hardware -- not every game will play, or play well. 3) The next version of Windows 10 Pro, due out in May, but available now if you join the Insider program [remember to quit the program before they push out a new version], includes a Sandbox that works like a VM but uses your graphics hardware. Downside -- assuming it worked, which it may not -- is that everything is deleted once you exit the sandbox, so no saved games. 4) Use another desktop? Win10 lets you create virtual desktops, or use 3rd party software, or just create another Windows user account -- all would give you an empty desktop so you could rotate the screen without messing with your desktop icons & how they're arranged. Old_Soldier, While none of these are ideal... 1) Use a 2nd display? While TVs & monitors start below $100, the downside is mainly cost. I have a small TV at my desk that I usually use as a TV, except when I need a 2nd monitor. 2) Use a virtual machine? The main downside IMHO would be that without real graphics hardware -- VMs use emulated hardware -- not every game will play, or play well. 3) The next version of Windows 10 Pro, due out in May, but available now if you join the Insider program [remember to quit the program before they push out a new version], includes a Sandbox that works like a VM but uses your graphics hardware. Downside -- assuming it worked, which it may not -- is that everything is deleted once you exit the sandbox, so no saved games. 4) Use another desktop? Win10 lets you create virtual desktops, or use 3rd party software, or just create another Windows user account -- all would give you an empty desktop so you could rotate the screen without messing with your desktop icons & how they're arranged. This is an excellent game! It has been given away a lot of years ago, and I have lost it because of the hard disk crash. You can play this game not only once because it absorbs you! Thank you for the pleasure returned!